San Diego Cycling: The Best Exercise? 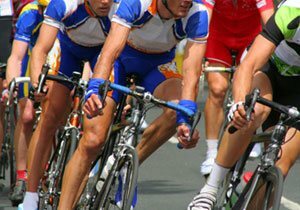 Many people have discovered that San Diego cycling has tremendous health and fitness benefits. Fueled by baby boomers taking advantage of San Diego’s ideal year-round warm temperatures, people enjoy biking because it helps them look, feel and function better in every aspect of their life. In addition, entire families can enjoy cycling together because it does not require individuals to learn many skills that take long to master. Purchase a bike, some basic gear, and allot about a ½-hour of time, and you have a cycling fitness regimen as intense as you can handle. 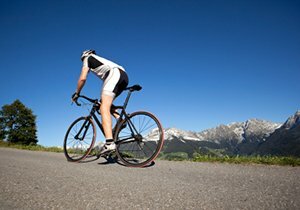 Contrary to popular belief, bicycling builds the entire body, not just the legs. Working in a holistic manner, cycling tones the body while minimizing the risk of strain and overworked muscles. Over time, individuals who cycle regularly develop strong leg muscles, mobility and flexibility in the hips and the knee joints. The constant balancing required while cycling also helps strengthen the body’s core. 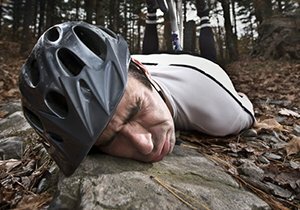 You should notice a difference in your stamina and endurance after a regular cycling fitness workout. Many bicyclists get so engrossed in the visual pleasures and assortment of sounds in their surroundings that they look up and realize they have gone further than before, and without expending as much energy. You can accomplish your fitness goal at a leisurely pace or you can step it up a notch for a more intense cycling workout. You need an elevated heart rate during your cycling regimen in order to obtain significant cardiovascular benefits. The action of pedaling a bike utilizes the largest muscles in the legs. Cycling is a great way to lose weight; you can burn as much as 500 calories in a fast-pace high-resistance 30-minute workout. 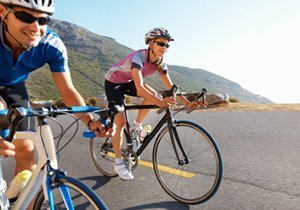 In addition, the body’s metabolism burns calories long after you complete your ride. Numerous studies demonstrated the positive effects of bike riding to reduce stress and depression. Focusing on the act of pedaling has a meditational effect by taking the biker’s mind off worries and problems. Many experts state that cyclists have a fitness level that makes them 10 years younger than their actual ages. Beginning cyclists should start out biking about two to three times a week. Increase your frequency and speed over time and plan extensive San Diego bicycling destination rides while getting your exercise. Always exercise and cycle with bicycle safety in mind. Although health practitioners support the benefits of cycling for most people, always consult with your doctor before beginning any fitness regiment. 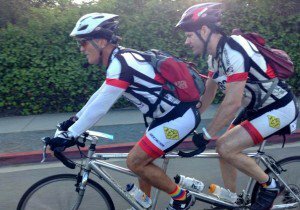 San Diego bike accident lawyer Frederick M. Dudek, a bicycle commuter and cycling fitness enthusiast with over 35 years of cycling experience in San Diego and throughout California, offers this resource to you. 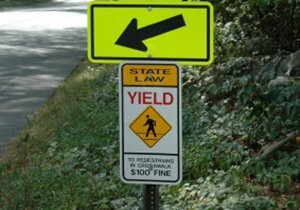 If you suffered injury or property damage in a cycling accident due to a negligent motorist, contact Attorney Dudek for a free no cost obligation to discuss your case.